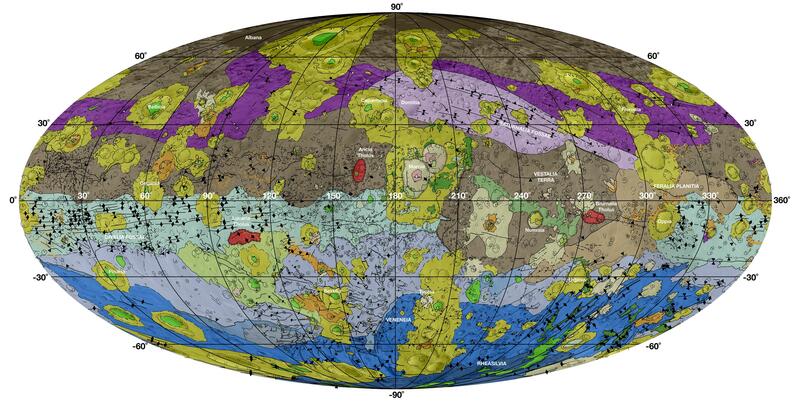 This high-resolution geological map of Vesta is derived from Dawn spacecraft data. 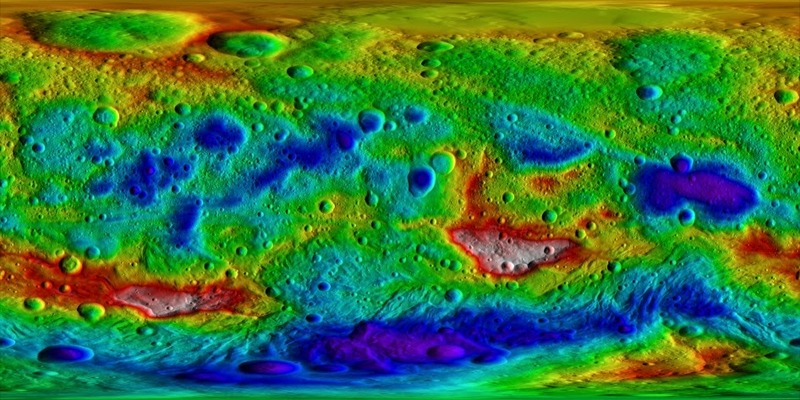 This color-coded topography map from NASA's Dawn mission shows the giant asteroid Vesta in an equirectangular projection at 32 pixels per degree, relative to an ellipsoid of 177 miles by 177 miles by 142 miles (285 kilometers by 285 kilometers by 229 kilometers). 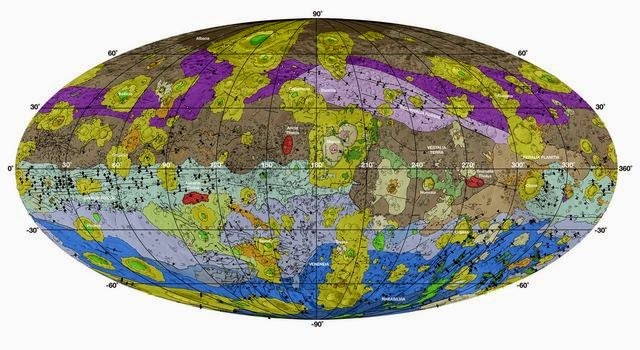 The color scale extends from 13.96 miles (22.47 kilometers) below the surface in purple to 12.11 miles (19.48 kilometers) above the surface in white. 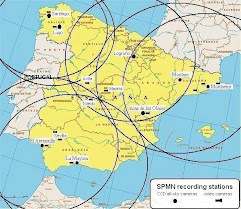 The topographic map was constructed from analyzing more than 17,000 images from Dawn's framing camera that were taken with varying sun and viewing angles. 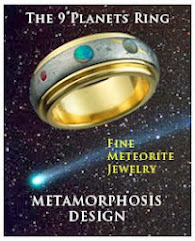 More information on Dawn is available at: http://www.nasa.gov/dawn and http://dawn.jpl.nasa.gov .